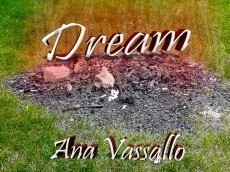 A poem that talks about dreams’ delights. To watch all the possibilities without inferences. Figure out what must be figured out. But by your mistaken schemes. Whilst meeting memories with grace. Yet dissolving into clear desires. Breaking free of burdening chains. To be tied together as knots. To make your heart breathe with glee. Only to get answers from mere queries. Marked with changes above lost traces. What must be written for the world’s delight. Great job with this work! I'm not much of a poem writer myself, but this poem was really good at showing how dreams can help us through simple words. Also, the rhyming words helped the story go along nicely. you recommended this to me and I'm happy you did! it was the perfect timing to come into my day this late at night. thank you for telling me about this! No problem, do you read my books, if so do you like them? I think that this was a wonderful poem. The verses flowed well and this poem was inspirational. I feel like this poem had a light tone, kind of like a dream itself, I think. This little poem seems to hold emotion in all its verse. I apologize as I cannot say too much about this poem since I'm not big on poems and don't know much about what makes a poem good. However, I enjoyed reading this poem and I think it is wonderful although I'm one of those people who don't remember their dreams, I appreciate you telling me about this. I think this gave me a better idea on what having (remembering) dreams feels like. You make your point so well & bright... Your poem can lift us into light! I’m happy that you came & visited... And even your request inquisited! Now I have come & read your gift; Surely now you’ll my life lift?!? By visiting my page, my friend... Reading mine, & comments blend? Wow! Thank you so much for the nice poem as a reply! I really liked it! Amazing poem!!! It's use of language that flows into each sentence is beautiful. With each stanza, one will slowly come to love the description and inspiring vocabulary. I definitely did. :D Continue displaying your way of writing, it's extraordinary! Delightful! The surreal imagery within your poem transcends reality, reminding us that anything can happen within dreams. I especially like the line "Nights over paradises, Twilights over mazes." You picked an amazing choice of words. Well written! Thanks for sharing. Thank you so much for the nice comments and feedback!! Hi, yes, I liked your poem - Dream, literally. - I don't dream much. The last dream I had I was carrying my belongings around a strange city then people started to steal them until I was left with nothing, then I wanted to go to the toilette. Perhaps you could tell me what this dream means, I'm probably a little insecure. Your poem is promising of a bright future! Thanx - Raymond Crane. Thank you for sharing your dream!! I’m impressed with your originality, more importantly I love the positive message of this poem! Repetition of the word 'Dream' shows its significance and the charismatic rhyme scheme makes it even more wonderful. Good job! Great poem and great words. Nice one there. Heyy, AMAZING work on that poem. I too saw your quickee to read this peom and even though I just read it out, it was fantastic. I really needed to hear a poem like that with how my "personal life" is going. Hi Ana, I read your poem, and I am not much of a judge as I do not like poetry. I will say that you expressed yourself and the need to push through the fears and condemnation of other to achieve your (or others) dreams well. That first verse grabbed my attention immediately. I don't have a lot of experience with writing poetry but I loved your work. Well done! It reminds me of a certain song. I like how much emphasis you put on the freedom we possess in our dreams. How it connects to real life too. Great job.